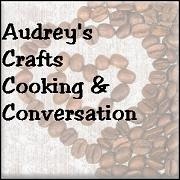 Audrey's Crafts, Cooking & Conversation: What is with the Weather? WHAT?!!! Really?!!! Only in Manitoba can we go from 27C (80F) on Monday to 1C (34F) on Friday! 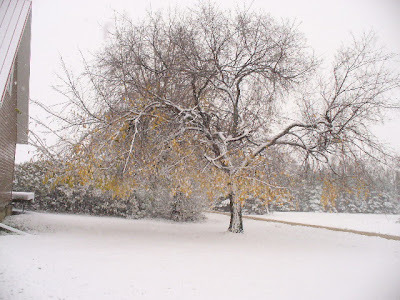 We got 1 inch of rain, then probably just over an inch of snow between Thursday & Friday. It all melted yesterday - will probably mow the grass for the last time today.... Crazy! It's so hard to believe that it's only FIVE days in between these photos! The weather is so crazy, isn't it? 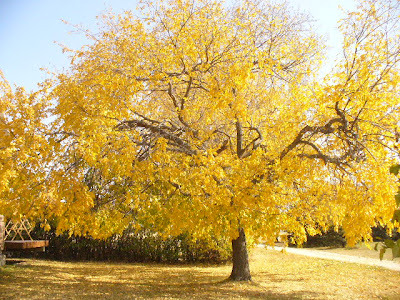 This time last week we had 100s (F) and today we're supposed to get a high temp of about 73 degrees F.
amazing. I miss living in the north New Enland. Wow that is pretty bonkers!